My freshly painted Clan Rat, with absolutely no basing work done. I don’t even try to paint the base. My collection, back there in Poland, doesn’t look much better. Most of miniatures’ bases have just green coat. Some of them have added little grass and sand. You can call me lazy, you can call inpatient. It’s probably true, but there is one more thing I’m struggling with, when it comes to basing my army. I’ d like to have all my miniatures top notch look. Including bases. The only problem is, I can’t do proper modelling, in the way I would be satisfied. I don’t even bother to try. I know I will fail eventually. So I just chose the simplest solution – I decided to buy some bases for my armies, and instead of struggling with home made bases – instead I prefer to concentrate on better painting. Skavens. They are probably the reason why I still collect Warhammer Fantasy Battle. With all this fuss about Games Workshop’s evil-hood and rumors about 9th edition, I should probably gave up on them. 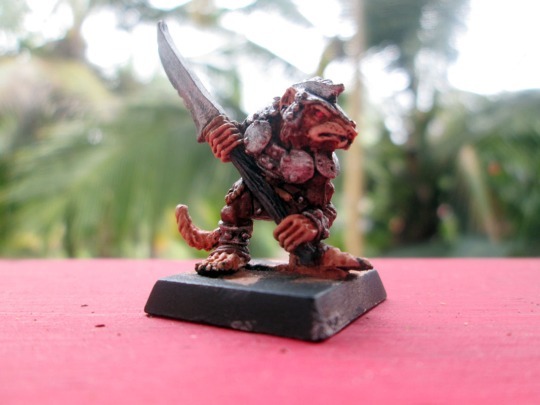 On the other hand – I am Skaven nerd. I used too have around 6000-7000 points Skaven army list back in 2000-2001 ( It was 6th edition, I suppose). Then I have a little break with gaming and painting. I sold all of my Skaven minitures. 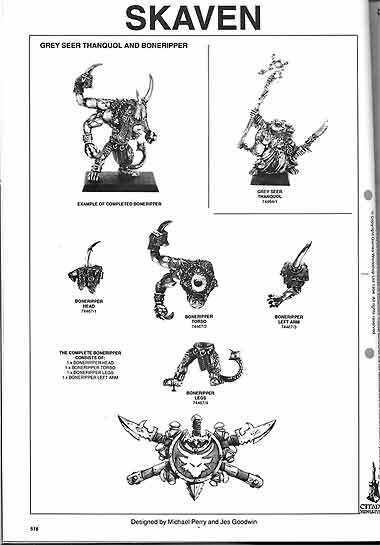 The only two miniatures I haven’t sold was Thanquol and his Boneripper. I’m a sentimental fellow – I really like those two. Grey Seer Thanquol and his genetically mutated Rat Ogre – Boneripper. Ok. I paint, and paint, and paint. But the bases of my Skavens are green (or even worse – black with splashed paint spots here and there). And I’m sure my rats deserve better. What I’m saying, they deserve the best. The should march underneath Empire cities and towns with pride. Swarm in the sewers, just waiting for the sign to attack and conquer human weaklings. Of course, sewers of most suitable environment for ratmen. Vision in my head – Countless Skaven Units marching under the Empire, ready to burn, loot, and kill. It’s first thing, what comes to my mind – Skavens should be in sewers – and this should be theme for bases of my army. Imagine that – all regiments in the same theme. Nice! …nice, but… I don’t know where from I can get square sewer themed bases. Lots of round sewer bases around – that was what I managed to find in several online stores. Is there absolutely no manufacturer producing such resin bases for miniatures? Only round bases? I know, Warhammer rumors are – in 9th edition miniatures will be on round bases, but, please… I don’t care about that. I prefer to stick with older editions. I’m old fashioned guy – I need square bases. …and just look at some of those bases- they look awesome! 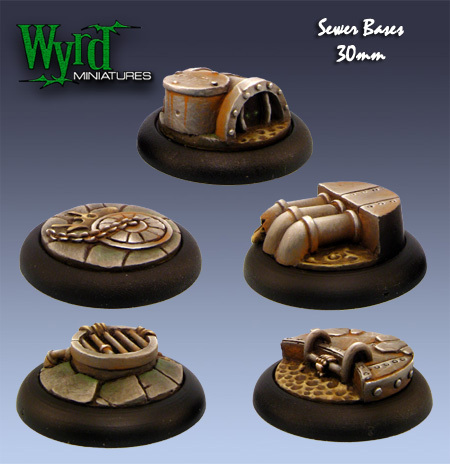 Sewer bases from Wyrd Miniatures. It’s a real shame there’s no square bases with sewer theme. I’m weeping and my Skavens are weeping with me! Sadness and despair! Or…or maybe I’m not aware of existence of such products. 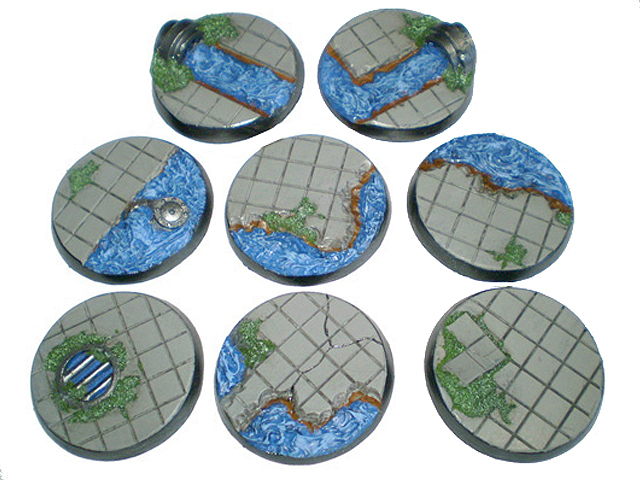 If you know someone who is producing some nice sewer themed square bases, please let me know! I will be very grateful! #2 If not sewers, then what? Especially one li ne of bases caught my eye. Micro Art Studio is Small Polish company with lots of amazing 28mm miniatures, tabletop wargaming scenery and miniature bases. And the bases! Wow! They look absolutely stunning. 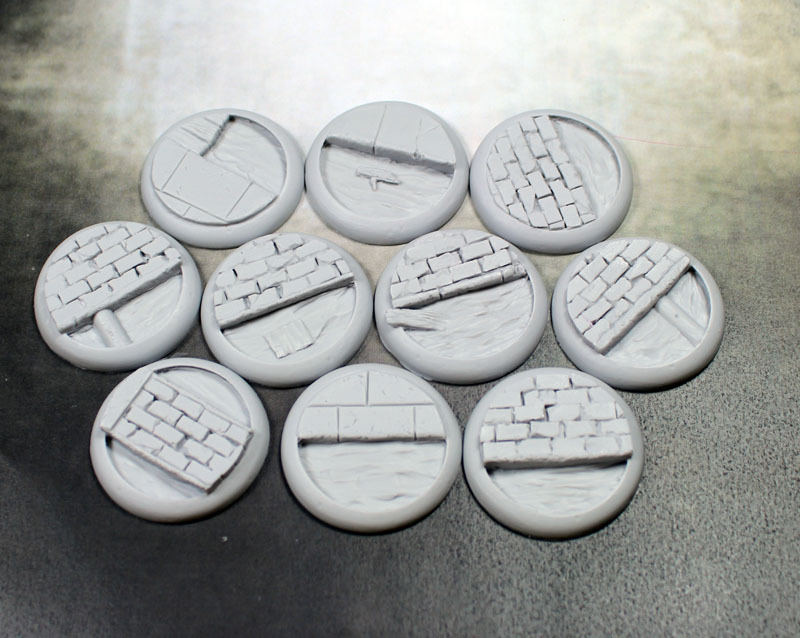 Just check them out – Micro Art Studio Resin Bases. 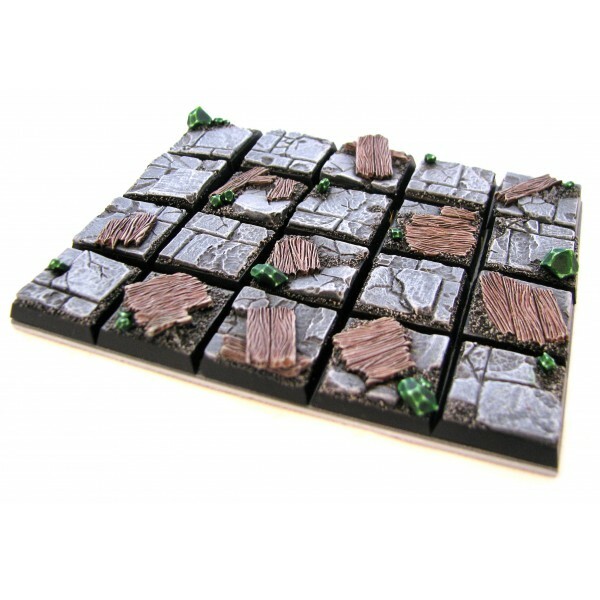 There are so many bases to choose – my Skavens would look awesome with such a nice basing. Just imagine th at! Hordes of Skavens on deserts of Arabia, in jungles of Lustria, in the streets of Brettonian cities or on the passes of World Edge Mountains! So many possibilities! 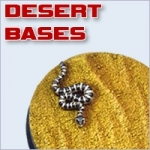 Quality of Micro Art Battle Bases is great – lots of details, different sizes and shapes. Will suit for every type of miniature in your army – from typical cannon fodder to huge monsters. Oval, round, square and rectangle. Whatever you might need. These guys made wonde rful job! I hope someday they made some more lines of bases – so I could finally get me so wanted sewer bases. Beside bases, they offer amazing steampunk themed miniatures for Wolsung Skirmish Game, miniatures for Terry Prachett’s Discworld (top notch!) and lots of resin terrains and battle mats for Infinity game. I don’t want to sound like a marketing or advertise guy, but you know – I’m Polish and I’m especially proud that company from Poland is producing such great products. Just check them out. Ok. End of offtopic – let’s back to my Skaven bases related problem. Even though the idea of Skaven Clans scattered around Warhammer world sounds tempting, I really rather to arrange my army in more “skavenish” way. Other place that might by considered as a perfect location are tunnels and mines. And the best would be warpstone mines. It is no mystery that Skavens are connected with warpstone. They are looking for warpstone around the world and wherever it is hidden they are desperate to acquire it, whatever the cost. Warpstone mines are scattered everywhere connected with other underworld cites by thousands of miles long web of tunnels.. Probably humans are not even aware, how large is Skaven Underempire hidden under their feet. So, I think, instead of sewers, my Skaven clanrats and other regiments could be based on tunnels and mines theme? Sounds like a good idea! To my surprise I it wasn’t hard to find such bases in one of the manufacturers online. 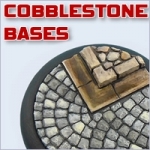 Fantascape is offering 20mm bases called Wyrdstone mines. Wyrdstone, believe it or not – looks exactly like warpstone. Ahhhh! Warpstone mines are suitable Skaven environment. I really enjoy of style of these bases. Stone floor with scattered wood and wyrd (warp) stones. Really amazing look! 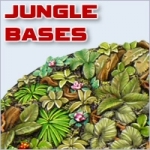 When I stumble upon these bases I decided – this is for me. I need these bases to complete my small army. Right now, while I’m in Mexico – not a big deal for me. I’m coming back to Poland in beginning of May though, and this will be for sure one of my first purchases. So, In May I will perform massive base exchange operation for all of my 1250 point army. It will be time consuming for sure. I need to spend many hours to paint those bases, but I’m sure it’s is totally worth it. My army will look awesome! Hola , me dio gusto conocerte y ahora reviso tu pagina esta muy bien !!! ademas me da mucho gusto puesto que tambien soy un gran fan de los Skaven , atentos saludos del Joven que te atendio en Gamesmart !!!!! Hi, nice to meet you and now im checking your website its very nice, and im a big fan of Skaven to !! !, Greetings for the guy that attend you on Gamesmart !!!!! hola! gracias Leon! proxima semana voy a escribir noticia sobre http://gamesmart.mx. hasta proxima!